Cobalt Engineering and Inspections provides residential, commercial, and industrial clients in the Hitchcock, TX, area with a wide range of services, including engineering, design, and inspection services. In addition to providing their clients with these services, Cobalt Engineering and Inspections also performs forensic investigations to determine the cause and extent of damages to residential and commercial properties. Clients are always curious about the forensic services provided by an engineering company. Cobalt Engineering and Inspections answers some of those questions. Aren’t Forensic Investigations For Crimes? The popularity of police shows and crime dramas has made forensic investigations seem as though they are primarily used to test DNA, fingerprints, and catch dangerous criminals. However, following property damage such as flooding, storm damage, or even fires, a forensic investigation is necessary to look at the structural design of the damaged building, determine the extent of the damage, and pinpoint what caused the damage in the first place. What Occurs During These Forensic Investigations? A forensic investigation for property damage shares many parallels with crime scene forensics. Structural engineering and civil engineering experts will visit the site of the damage, similar to detectives visiting the scene of a crime. They will take into account the present weather conditions, as well as the weather conditions on the day the damage occurred. Samples will be taken of the building materials, along with photographs of the damages, similar to evidence collection done by crime forensics experts. Finally, an impartial investigation is conducted to determine the cause of the damage. How Will the Collected Evidence Be Used? 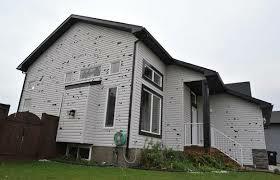 The evidence collected during damage assessment forensic investigations is primarily used for insurance claims. Similar to crime scene investigations, there is a chain-of-evidence for evidence collection and storage, to verify the evidence hasn’t been tampered with. Additionally, an expert witness will provide a testimony regarding the cause of damages. To schedule a forensic investigation to inspect the damage on your property, or for other construction inspection services, call Cobalt Engineering and Inspections at (409) 526-9988 or visit the website today. What Is Structural Design & Why Is It Important? What Is Windstorm Engineering & Why Do I Need It?